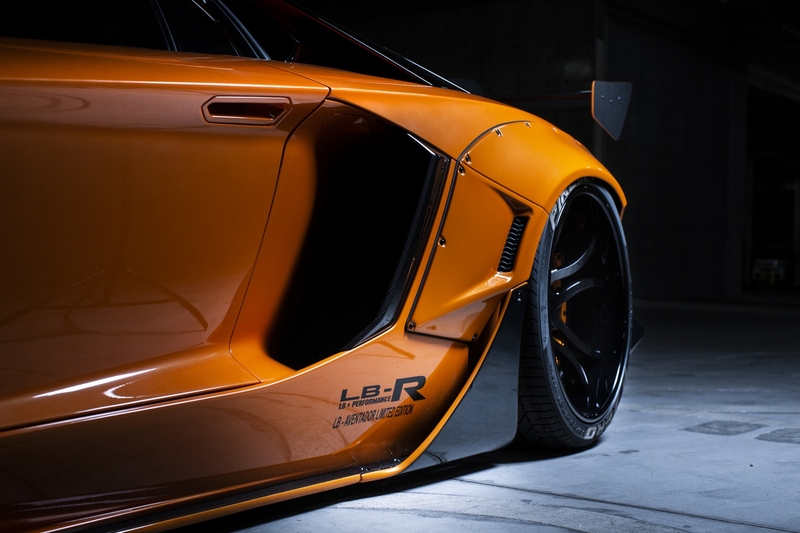 Liberty Walk / LB Performance is known around the world for upgrading high-end custom car culture as a whole. 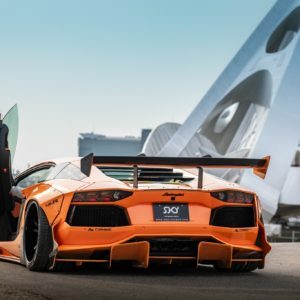 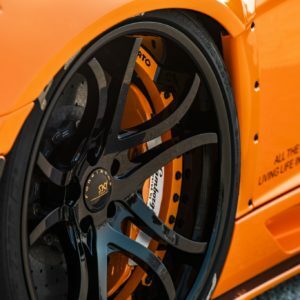 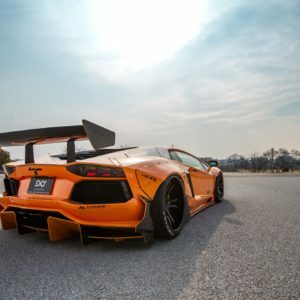 Before the Liberty Walk appearance packages were introduced, it was quite rare to witness half-a-million-dollar supercars modified to such an extreme. 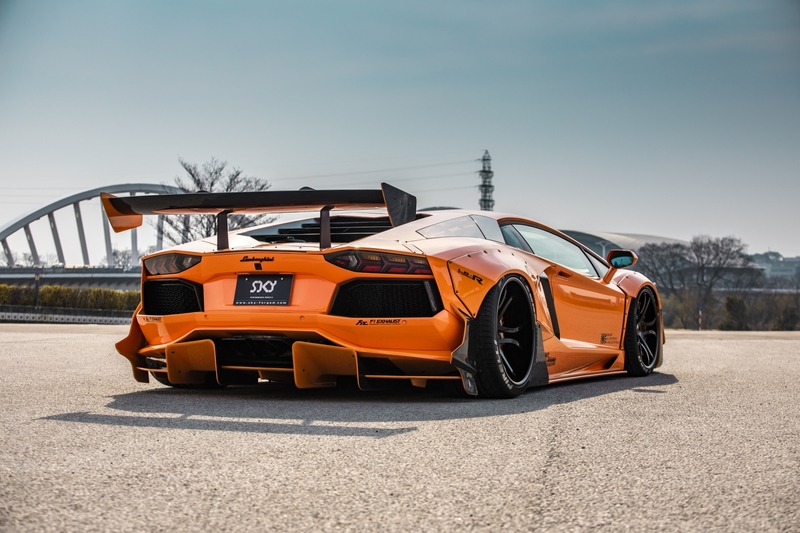 This ludicrous Lambo is certainly in that conversation as the Liberty Walk body kit transforms this Aventador. 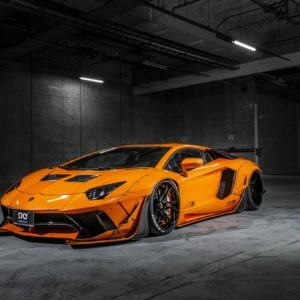 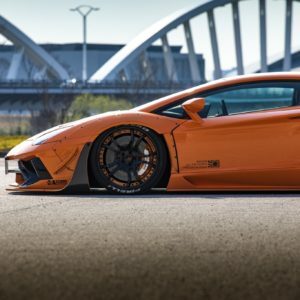 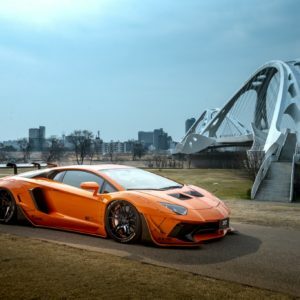 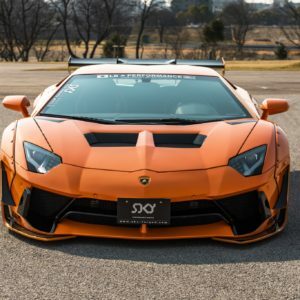 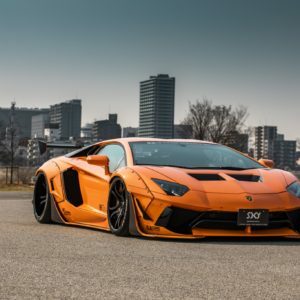 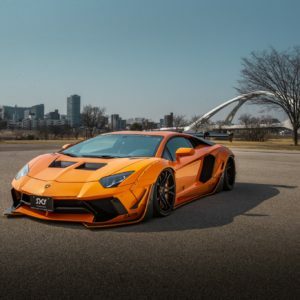 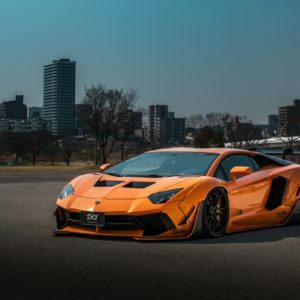 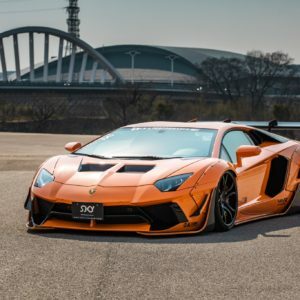 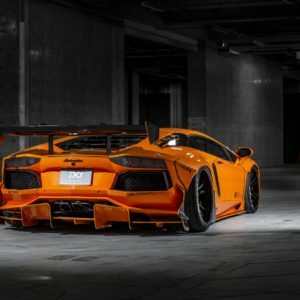 Only a select few have an equal amount of wealth and insanity to cut up a $500k super car and the owner of this Lambo in Japan is definitely one of those people. 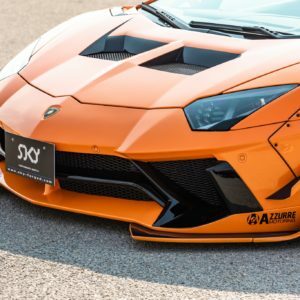 Even fewer have the limited edition kit! 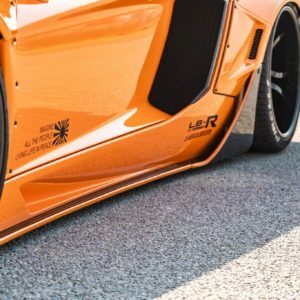 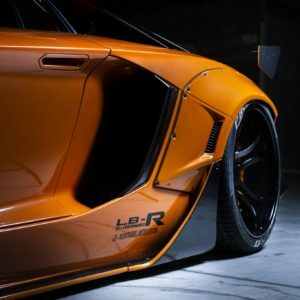 The Liberty Walk kit is more than meets the eye as it aint simply riveted-on body fender additions. 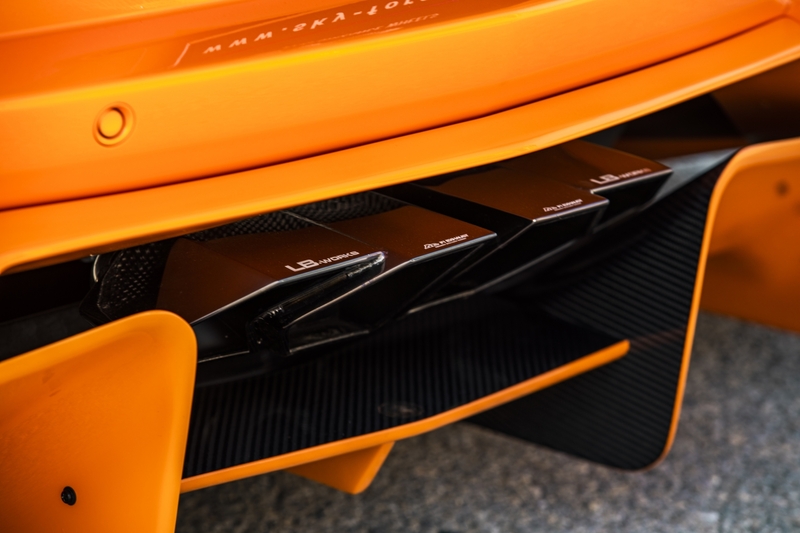 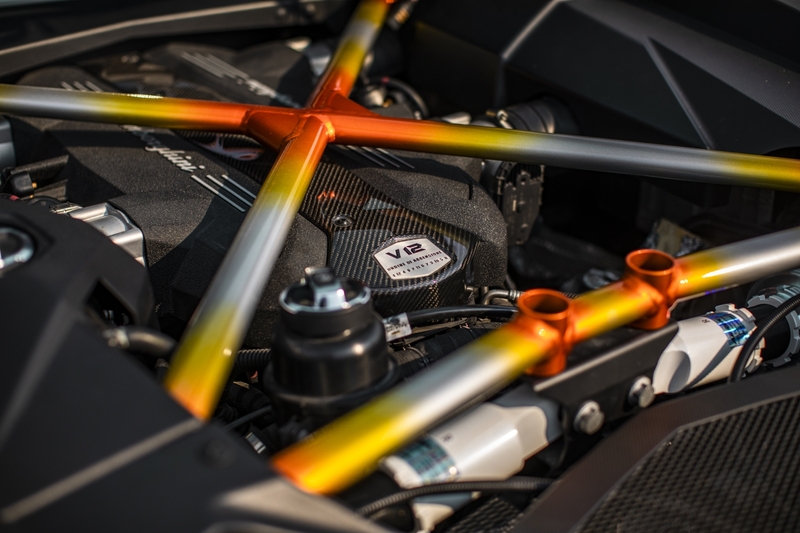 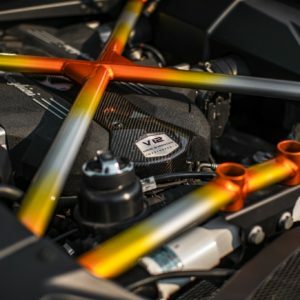 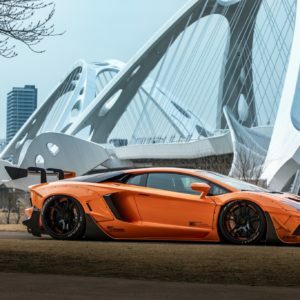 It’s a carefully planned-out, multi-piece package that transforms the Lamborghini Aventador into a wild version of its former self. 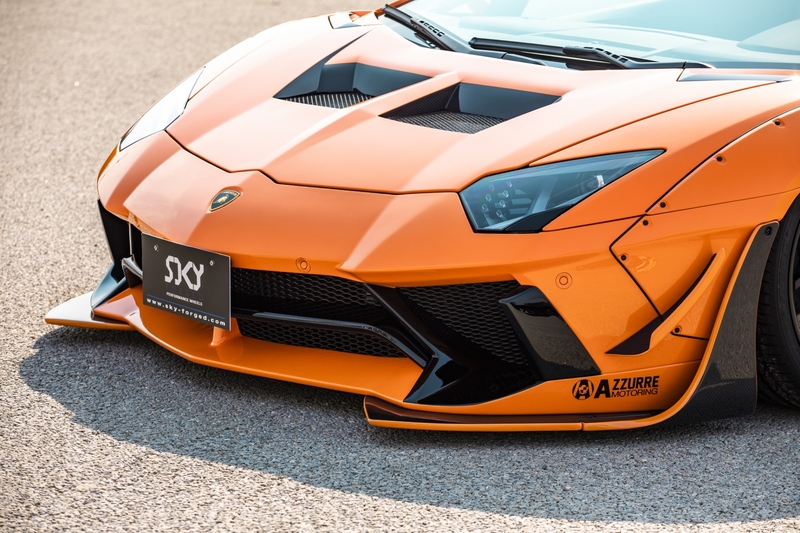 The Lambo’s front end is highlighted by an aggressive lip spoiler that protrudes much further than factory for an in-your-face appeal. 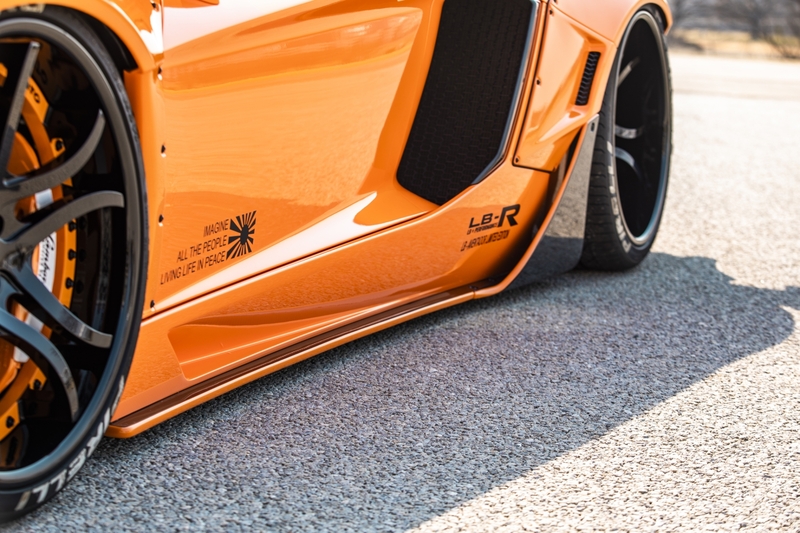 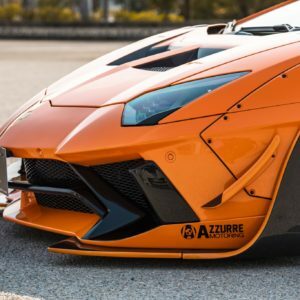 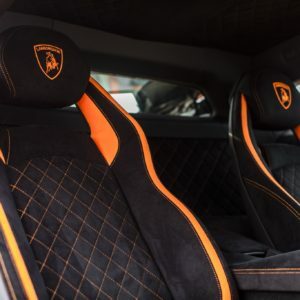 The signature fenders with exposed hardware are added but not with out a bit of cutting which would make most Lambo elite cringe. 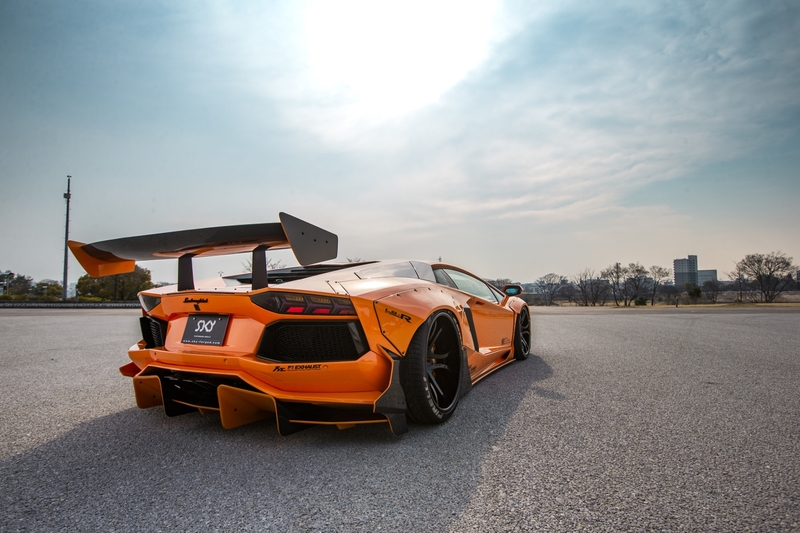 The rear is topped off with a massive wing that you simply cannot miss. 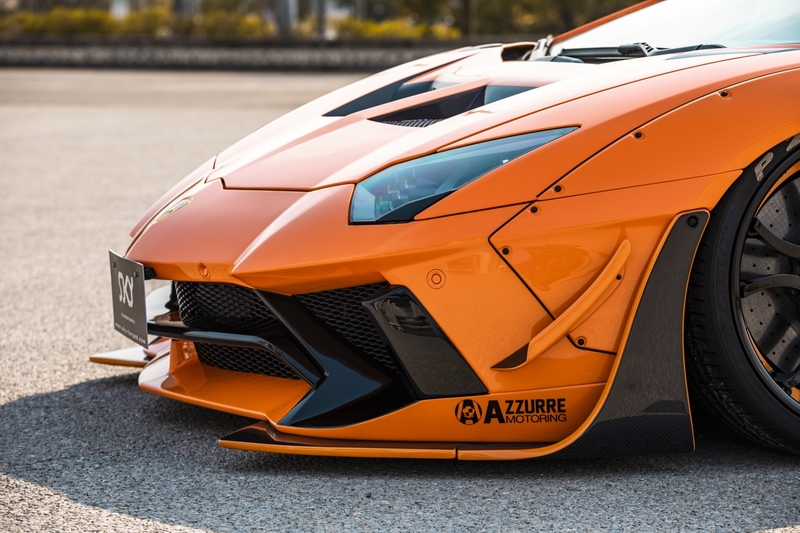 What sets this particular widebody Aventador further apart from its competition is the Forgiato footwear under those pronounced fenders. 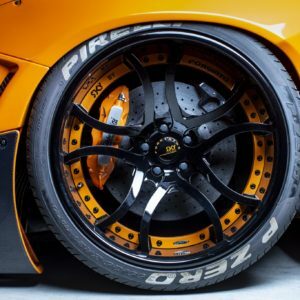 The Forgiato S216 wheels are a perfect compliment to the build featuring a mostly-black aesthetic with hints of orange, too. 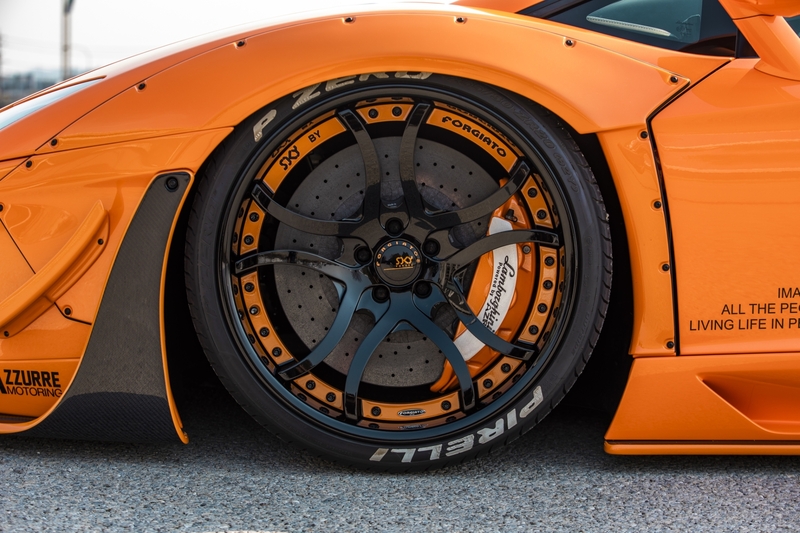 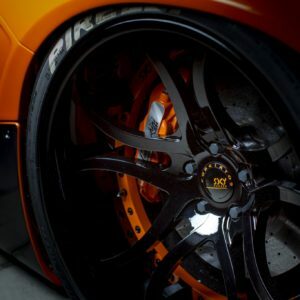 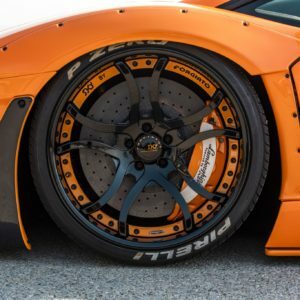 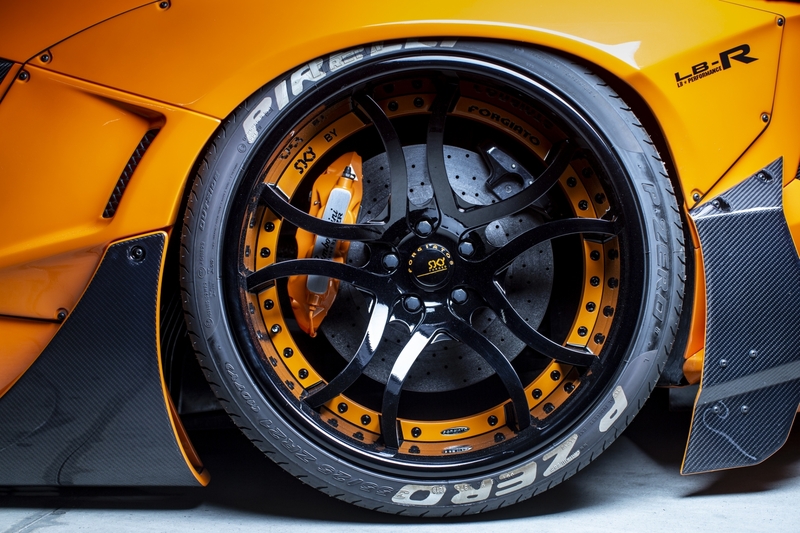 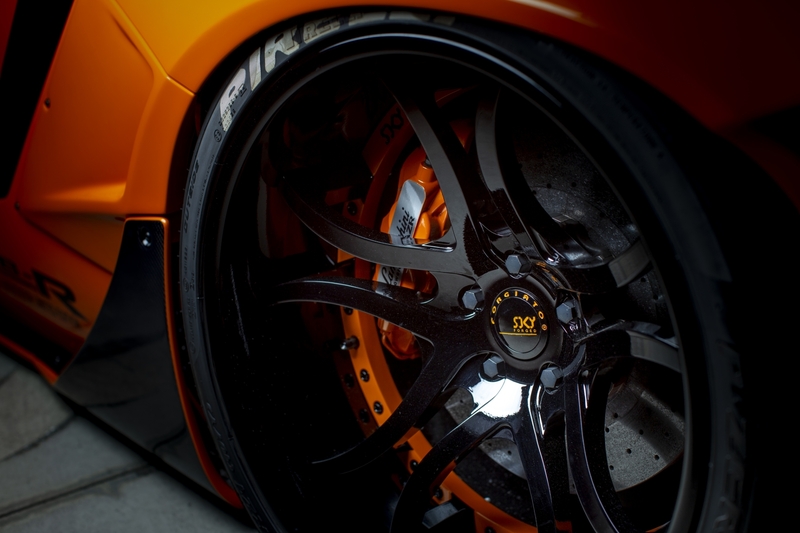 For more Aventadors on Forgiato wheels, head over to our gallery ASAP!